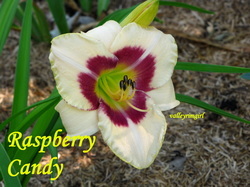 4.75" fragrant cream with raspberry eye, green throat and nice bluish foliage. Awards: Honorable Mention 1996, L. Ernest Plouf Award in 1997 for the best consistently fragrant dormant daylily, Award of Merit 1999. 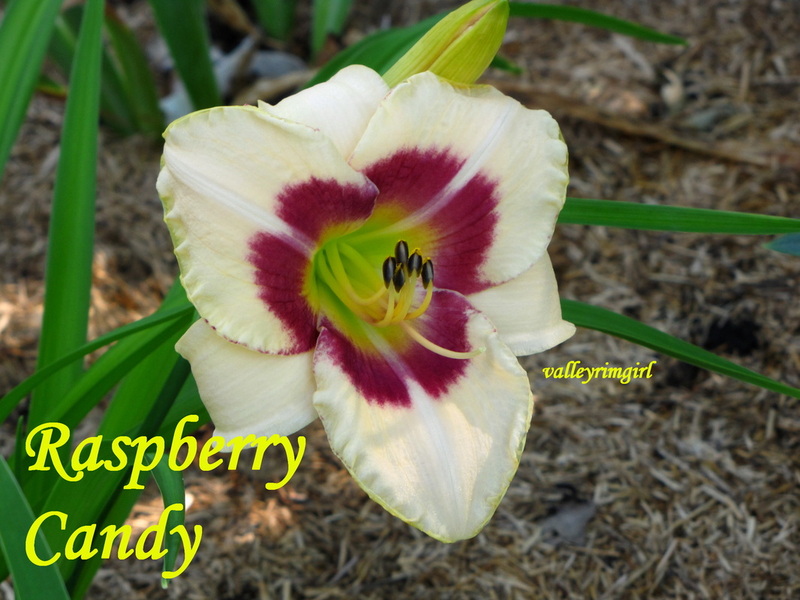 Love the contrast between the raspberry colored eyezone and the white of the petals! 6" full, large clear cherry red with a bright green throat. 11" fragrant UFO (unusual form) crispate bright red spider self with very large green chartreuse throat. 6.5" mauve pink with deeper rose veining and halo with a green throat. 6" violet purple self with darker purple halo and yellow throat.